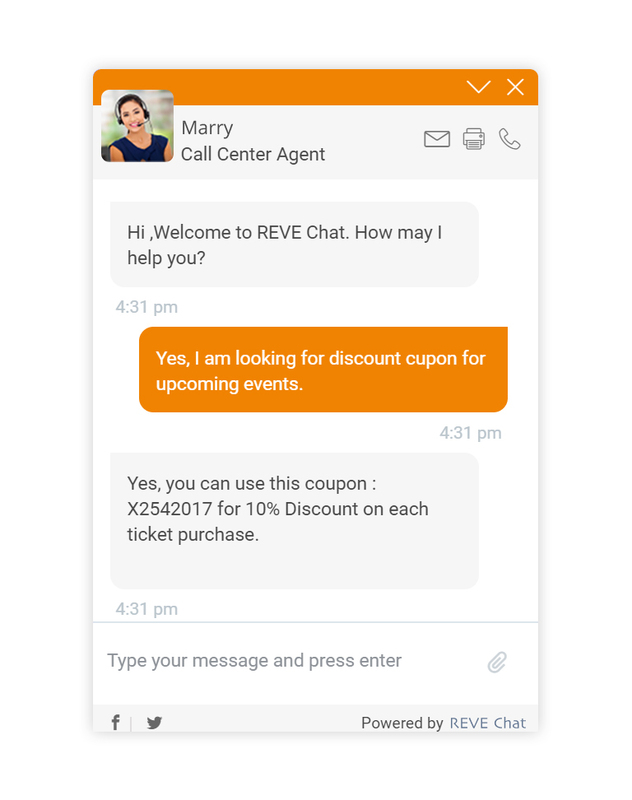 REVE Chat is a multi-channel cloud based live chat software that provides instant assistance to your website visitors for better customer service and boost sales conversions. Businesses can instantly engage with their customers across various channels such as Website live chat, Voice/ Video Chat, Facebook Messenger, Viber, Mobile apps (Android, iOS) using a single platform..
Offer your visitors instant assistance and increase your sales conversions. Reduce cost of service by managing multiple customers simultaneously. Talk to your customers using voice/ video chat right inside your web or mobile apps with click to call solution. Now provide instant support by accessing the user’s computer with co-browsing feature. 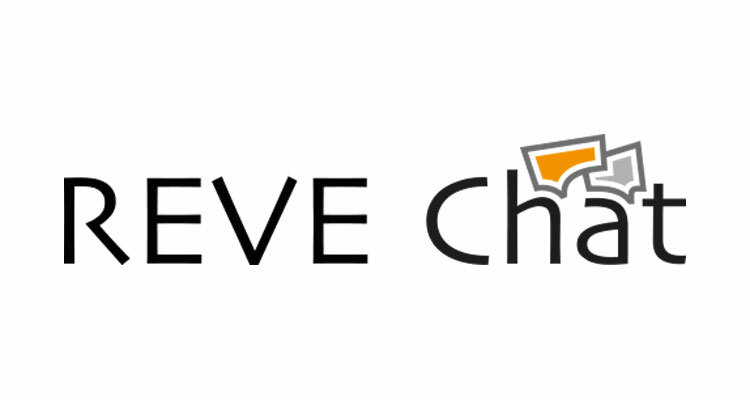 Chat with your Facebook customers using REVE Chat from single dashboard. Chat with your customers on Viber messaging using your public account from single dashboard. Get real time insights about your customers (location, history, IP address, Referral source) and personalize every interaction to improve user experience. Improve customer response time by routing your customer queries to the right department. Send automatic invitations to your website visitors based on certain time, ULR or location. 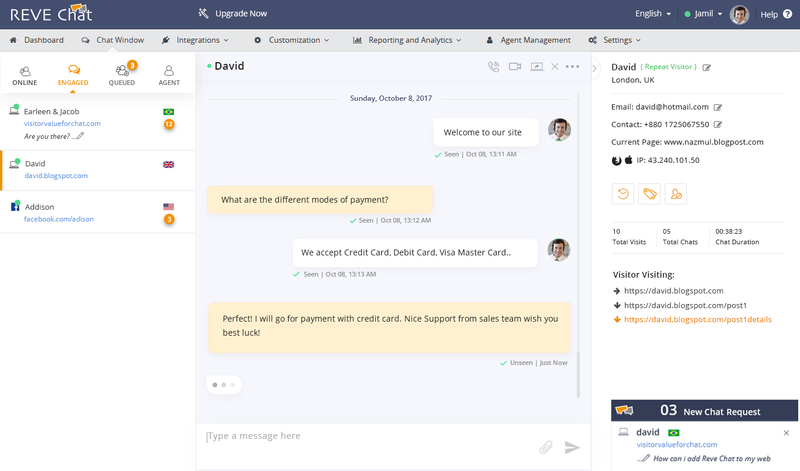 Monitor your agent performance and responses in real time to provide more appropriate answers to your customer queries. Manage your customer expectations effectively by providing them right information about waiting time when your agents are busy with other customers.